About a month ago, our family received a DVD documentary IndoctriNation – Public Schools and the Decline of Christianity in America. This documentary is published by Great Commission Films. Even though we homeschool, I was interested to see how much of what was shared was just the opinion of those producing the film and how much was based on fact. My husband and I were astonished by what we learned. For this review, we received a physical DVD copy of IndoctriNation. This documentary is 102 minutes in length and generally recommended for adult viewing. This recommendation is not because of offensive content, but just the level of discussion and factual nature of the material as opposed to it being “entertaining”. We did have our children ages 10-18 watch it with us. Our intent in this was to provide them with an awareness of where public education is heading to start instilling a desire in their hearts to make the best educational decisions for their children someday. Before considering the content of the movie, it is important to identify the intended audience. I mention above that it is directed at adults and older children. In addition, the focus is specifically trying to reach Christian adults and parents. Is this because those behind the making of the movie are trying to be divisive or exclusive? I don’t think so. I believe the intent is that whatever doctrine each family believes in the parents would want their children to be educated along a similar belief and value system. IndoctriNation is examining whether there exists a mutually supportive role between Christian parenting and the values of the current public education system. If there is a disjunct, then these parents would need to determine the best course of action for their family. IndoctriNation combines historical facts related to key contributors in the creation and direction of the public school system, a view of where education started in our country, and the road it has traveled over the course of our nation’s history. The developments in public education closely mirror and many times are precursors to political changes. We see many parallels in the cases being heard in our courts as we hear being battled in school board meetings across our land. Let’s take a step back and think on why this is. I would propose and believe that Colin Gunn, the creator of IndoctriNation, would agree that a country steers the education of its children to help bring about unity of thought, philosophy, and beliefs to support the direction that the country’s leadership wish to take the nation. For example, we would not expect a communist nation to endow the value of free enterprise into its students. A Muslim nation would not design literature classes that helped to instill Christian values. And countries that are built on the Enlightenment and belief in relative determinations of right and wrong would not encourage the teaching of absolute truth. America is struggling as a nation in defining who she is. At her birth as a nation, the founders of our Country desired freedom to worship as they saw fit rather than having a governmental system dictate worship practices as was the custom in England. It was never a matter of freedom from religion, but freedom to pursue religious practice. Among the early colonies, Christian families were predominant which resulted in their children being educated in line with their beliefs. Much of their education was hands-on learning of trades and what we would call life skills. The educating in reading was really intended to help insure that the children would grow up to read Scripture and be able to interpret it. Math skills were focused heavily on being able to carry out business. This training was largely accomplished at home. As more and more immigration took place, the demographics of our nation have changed. The concept of ultimate personal freedom has grown a culture that has changed this focus of freedom of religion to freedom from religion. We see this in the gradual shifting of the educating of our children through the history of our nation. In the later 1700’s and into the 1800’s, a shift occurred that brought formal education into light as a value until itself and a goal to be achieved rather than just a tool used to prepare one for life as an adult. This formalizing of schools provided the platform for more widespread dissemination of values that could be endowed in young learners paving the way for the Industrial Revolution and other major historical events that would bring fundamental changes to what defines us as a nation. IndoctriNation is a truly accurate description of what is happening. It was used largely during World War II by the Hitler regime and in Socialist and Communist nations around the world. America is no exception. We like to believe that we are raising free thinkers that will become some higher order of beings through advanced education. In actuality, if we are really honest we are allowing the public school systems operated by our government to mold and shape the value systems of our children (the next generation of leaders in our country) through what is selected to be included in textbooks, the perspective in which it is presented, what we allow or restrict our teachers from sharing, and even the policies related to behavior, dress, and foods that our children can be exposed to while in their government run institutions. Do I do the same in homeschooling my children along the tenets of my Christian faith? Absolutely! That is the basis of this DVD. There is a long standing debate among Christians as to whether we need to remove our children from an educational system that has become largely pagan in nature or infuse the school systems with children from Christians homes to try to reform the system. Colin Gunn would argue that children should be removed from what has become a Pagan society within the walls of our schools. Prayer is forbidden, teachers who have a Christian faith are forbidden from sharing it, evolution is taught as fact rather than theory, Christmas music concerts have been replaced with winter concerts devoid of all spiritual music Christian or otherwise, and curriculum is becoming filled with more and more value based learning from non-Christian religions. There are great battles in our land over the movement to Common Core. In researching this personally, much of this value based instruction is founded on the pillars of Islam and expression of personal freedom in sexual activity and complete tolerance and instruction in all forms of sexual expression. 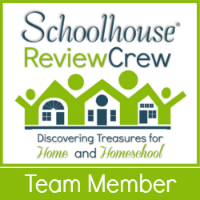 As a Christian family who is already homeschooling, I found value in watching IndoctriNation in reminding me of some of the reasons we have chosen to homeschool our children. I see a much greater platform for this documentary to be shown in churches across our land. Parents need to be reminded that they still have the choice over what should be taught to their children and where their education should occur. Our nation’s leaders would convince parents to give up this right so that mass education of our children can produce the same uniformity that mass production of cars produces at the Toyota plant right up the street from our home. No matter where our children are educated, they will be indoctrinated. The decision Christian parents must make is if what is offered in government run public schools is the indoctrination of our students minds and hearts that is best for our children. Should we try to save the system or save our children? The choice is yours, but watching IndoctiNation from Great Commission Films provides great factual information and the state of our government run schools to help make that determination. As always this is just my opinion. I encourage you to check out the other reviews that can be found by clicking on the banner below.